I wear wigs frequently for costuming, but I try to get away with only styling them in pretty simple ways. 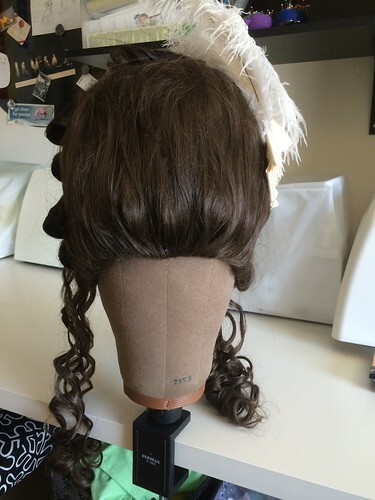 However, that doesn’t cut it for fancy 1770s hair, so I decided to get over myself and try something more complicated. 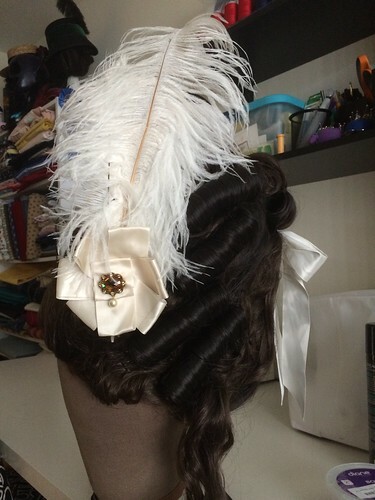 Enter the book 18th Century Hair and Wig Styling by Kendra of Demode. I highly recommend this book. I read the entire history and techniques sections, and the research presented there is impressive. 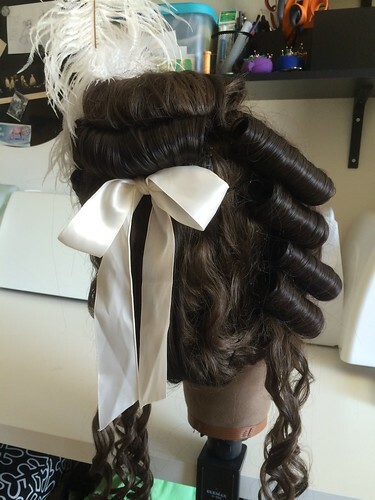 Then I tackled the Dorothee style, which is appropriate for the mid- to late 1770s. This was an adventure, partially because I lacked some of the proper materials. But with Mike’s help (a few things were easier with four rather than two hands), yesterday we made a bunch of buckles (rolled hair curls) set with glue, and a wire frame. 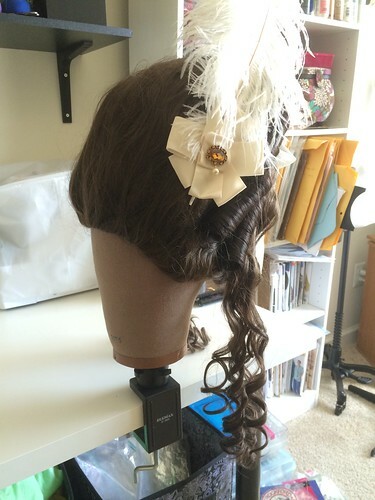 Today I attached the frame to the wig and assembled the style. The results are not at all perfect, but wearable and still pretty. That came out very nice! I’ve been reading the same book as well to get ideas for a 1780s wig.